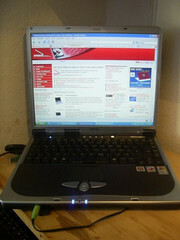 Our forum moderator Jan alias Deichgraf investigated the favorable notebook for beginners - the BenQ Joybook 5200G. 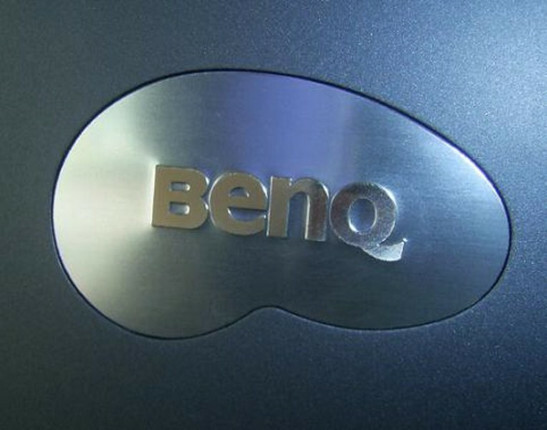 The Notebook, which is already available for less than 800 Euro is called by BenQ "wireless pleasure on silent feet". Whether Jan shares this opinion is you can read in the following review. The stably seeming cover gleams in dark blue metallic. 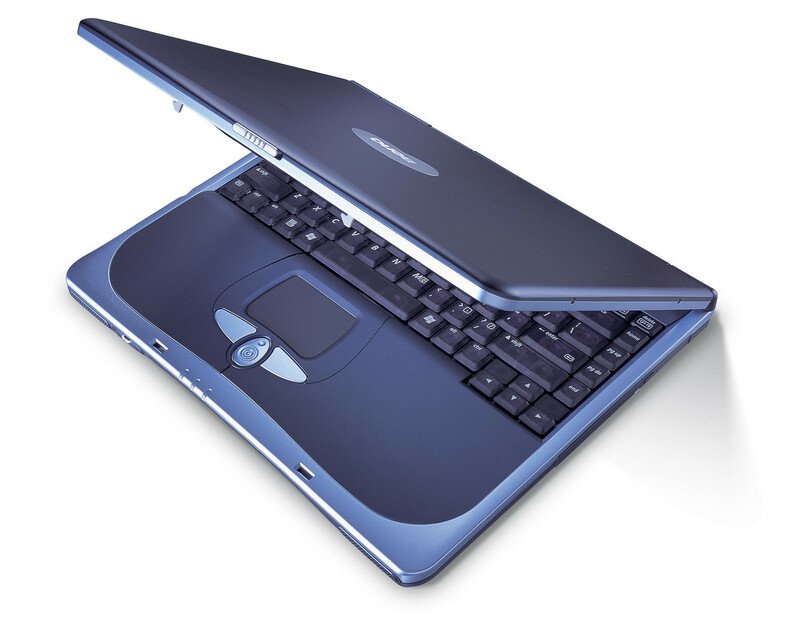 At the upper cover edge of the BenQ Joybook 5200 G is a chrome-colored plastic slide for the unblocking of the cover. Many parts of the Joybook 5200 G are dominated by plastic parts. Workmanship and quality of the used plastic material is acceptable. Overall the notebook is stiff against torsions. Four additional keys shining in chrome allow the fast access to the favored internet-browser and the preferred application of email, two further keys can be used for individual functions by the user. Of course the BenQ Joybook 5200 G can offer a lot of respective communication and interface equipment. Nonetheless nowadays a 100-MBit-LAN port, a modem adapter and W-LAN are the standard-equipment of (nearly) every notebook. The WLAN-module can be switched on/off fast by a combination of keys. However, the BenQ Joybook 5200 G does not offer Bluetooth or infrared. Who would like to attach cordless terminals (mouse, headset) or to adjust data with the mobile telephone will have to use either a Bluetooth Dongle or a data cable. On the other side Joybook 5200 G offers interfaces for FireWire, microphone, headphone/SPDIF (optical), line-in, monitor, S-video as well as a PCMCIA slot. 3 USB 2.0-ports and a 3in1-cardreader, who is able to reade flash memory of the formats MemoryStick (MS), MultiMediaCard (MMC) and SecureDigital (SD) complete the connection options. The black keyboard of the BenQ Joybook 5200G is not colored completely. Owing to the easily transparent keys you can recognize the wire-sub-construction beneath the keys with bright skylight well - surely some people won't like it. The key heads are rounded off, sit firm upon the sub-construction and provide a good finger contact owing to the rough surface. 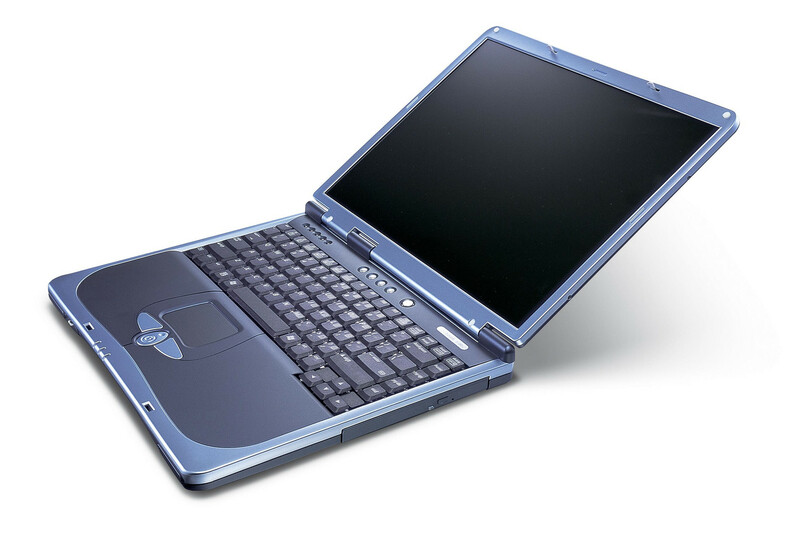 The pleasant keys of the BenQ Joybook 5200 G work with short stroke and hardly fit with springs. The black touchpad of the BenQ Joybook 5200 G offers a navigation surface of 6,5 x 4.5 centimeters (width x height). Owing to the rough surface sweating fingers hardly might lose the contact to the surface. The Pad works precisely and makes the navigation very easy. The BenQ Joybook 5200 G offers a 15 inch non-reflecting 4:3 display with a conservative resolution of 1024 x 768 pixels. The LCD impresses by a smooth non morroring display surface. In addition the display convinces with a successful brightness. Surprisingly the color-saturation achieves high values for a conventional display. The colors seem well colored, the color of the skin of portrait-photos is naturally. 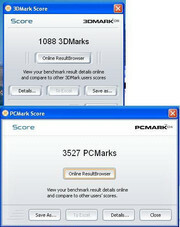 Overall, the display of the BenQ Joybook 5200 G scores with good ergonomics and a good quality of image representation. Although the very cheap price of less than 800 Euro, there is a plenty of technical equipment. On Intels current Alviso-chipset i915PM a Intel Pentium M 740 with 1.73 GHz clock frequency is inserted. Two DDR memory modules (PC-2700) with an overall capacity of 512 MByte, which work in the performance-promoting dual-channel operation, provide a high memory throughput. However the user acquires this performance advantage with a minor problem: for upgrading at least one of the modules must removed and thus become an occasion for Ebay. The video card of the BenQ Joybook 5200 G is a ATI Mobility Radeon X300 with 64 MByte own video memory. Nevertheless must be said clearly, that the X300 is an outdated and comparatively favorable chip. It can't be compared with the often implemented X700 or powerful Nvidia video cards. Nonetheless the X300 is undoubtedly better than every in the chipset integrated graphics core. Here BenQ saves some Euro, which instead are used for a good processor. This might be a good decision, because the BenQ Joybook 5200 G has no chance to be a notebook for gamers and anyway does not want to be. Most applications receive advantages by better RAM and processor than by a faster video card. Apart from a pleasing performance in usual office and multimedia applications the BenQ Joybook 5200 G results in good values in the 3D-tests owing to the X300. 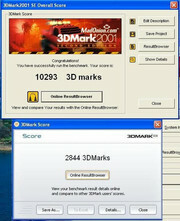 In the 3DMark03 of Futuremark the Joybook 5200 G reaches 2844 points; in the 3DMark05 still 1088 points. Owing to a high performance hard disk the users may try modern and current game titles. Restriction: games, which demand very high graphics performance and main storage capacity, only can be played with reduced resolution and less details. The fast hard disk MHV2060AH of Fujitsu surely contributes to the good total output of the BenQ Joybook 5200 G. The 60 GByte Ultra-ATA/100-hard disk works with a rotation speed of 5.400 U/min. 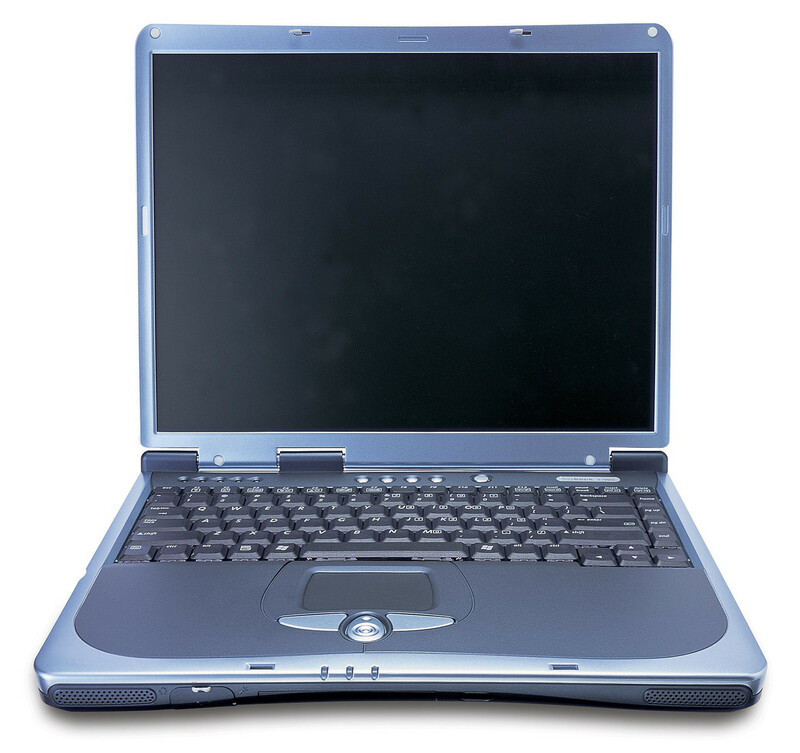 BenQ Joybook 5200 G offers an optical drive assembly of the type Hitachi LG DT ST DVD RW GWA-4082N as a further mass storage. The DVD burner with 8x burning speed also permits the use of the high-capacitive double-layer media with a storage volume of up to 8.5 GByte. The noise and temperature emissions of the BenQ Joybook 5200 G are to be good evaluated. For the power and fan management the user can use the system utility BenQ Qpower. Apart of maximum performance, normal and maximum battery life it allows 7 further pre-defined performance modes. Besides, individual parameters can be adapted to the personal needs in the configuration menu of BenQ Qpower. With the setting max. performance the fan operates without any load or while simple office operations clearly perceptibly or switches itself on/off frequently during writing pauses. However the noise of the fan remains altogether on an average level. The air discharge opening completely in the back is optimal. Straight with higher power output a perceptible heating of the touchpad and other areas in front of the keyboard can be noticed. The two small implemented loudspeakers are not convincing and are only suitable for system sounds. The users is allowed to expect a good average according the battery runtime of the BenQ Joybook 5200 G. With W-LAN the Joybook 5200 G runs over 2 hours in battery mode, while office work is surely 3 hours and more are possible. The BenQ Joybook 5200 G surprises with attractive optics, solid input devices, fast total performance and a pleasing display. The plastic chassis of the Joybook 5200 G is cleanly processed and proves as quite torsionally stiff. Also the keyboard pleases with an accommodable write feeling, the touchpad offers enough place for a comfortable navigating and works precisely. The 15 inch not reflecting XGA display can prevent from annoying light reflections. 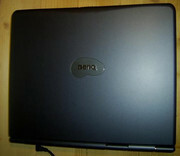 Besides, the display of the BenQ Joybook 5200 G scores with advantages of ergonomics and color representation. According the background brightness the LCD is positioned on the average, but with the viewing angle the user must tolerate weaknesses particularly in the vertical view. Altogether the BenQ Joybook 5200 G is quite suitable as inexpensive, fast, solid allround-notebook for everyone.